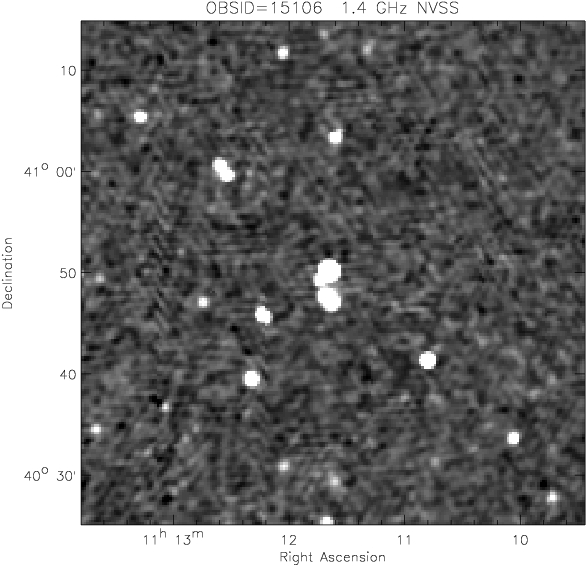 Here is the list of clusters that have already been observed and those that will be observed in this program. 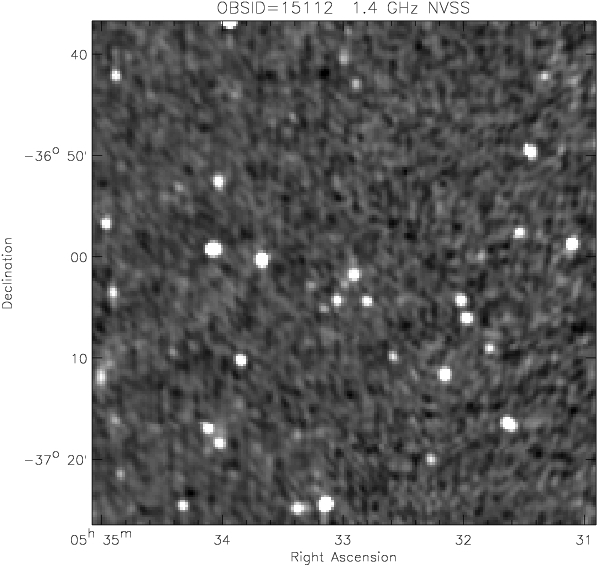 Click on the links to download the files. 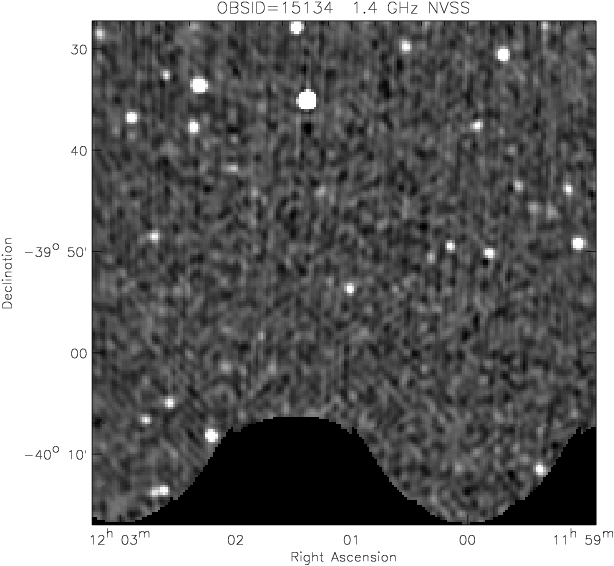 Dates are in Year-Month-Day format. 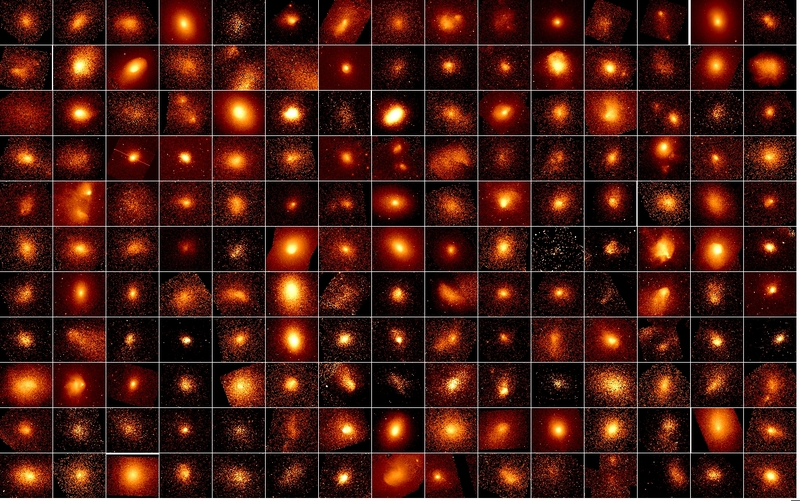 By clicking on the cluster name link you can easily see the X-ray morphology of the cluster, as well as the ESO-RED image of the same field, overlaid by X-ray contours. 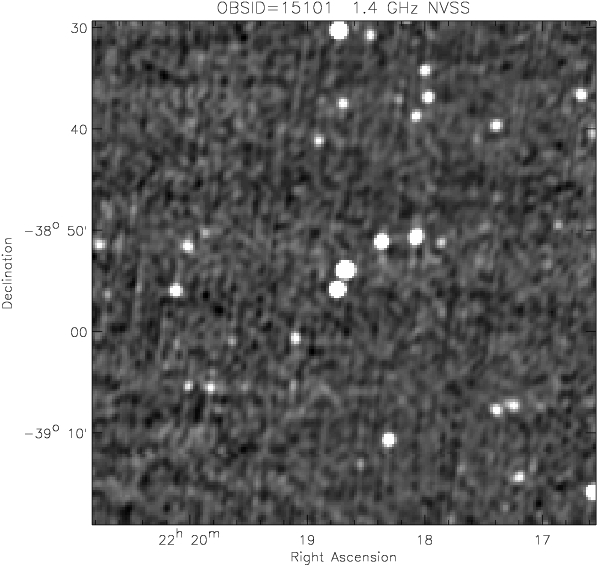 The OBSID link opens the Chandra Data Archive website, where you can download all data associated with the specific ObsId. 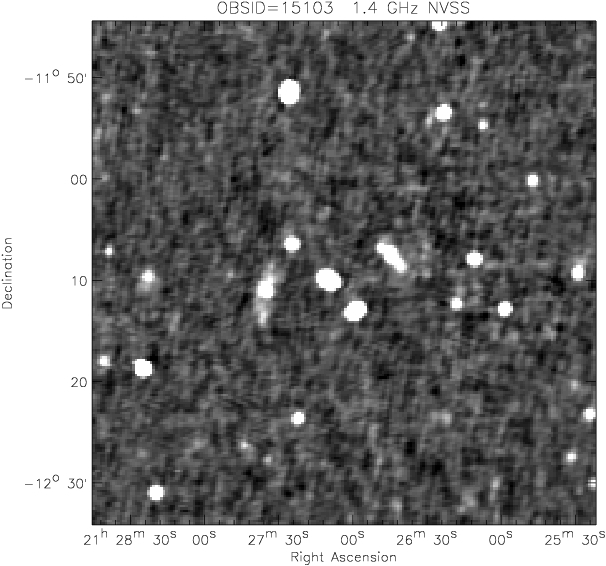 The X-ray Image link downloads the 0.5-2.0 keV, binned block 4 flat-field image fits file of the cluster. 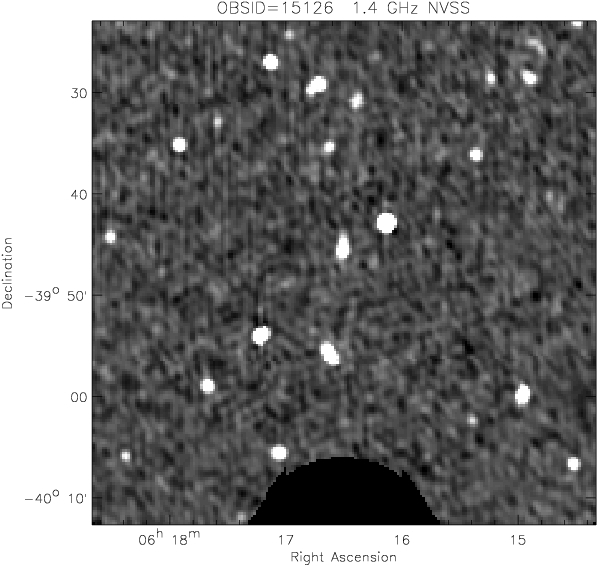 The X-ray EVT link downloads the cleaned events file of the cluster. 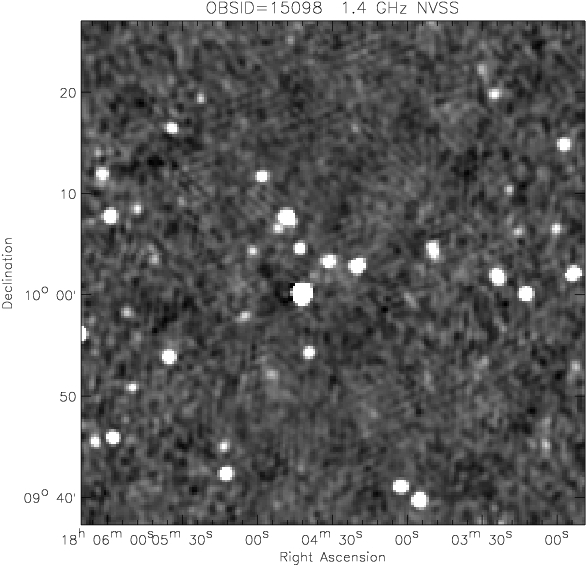 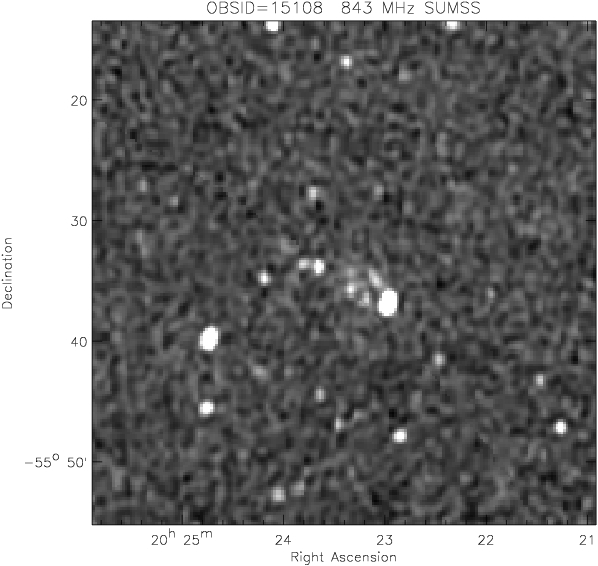 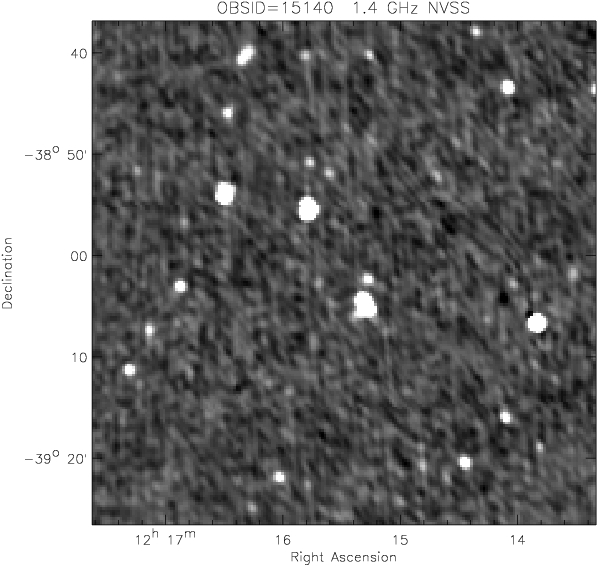 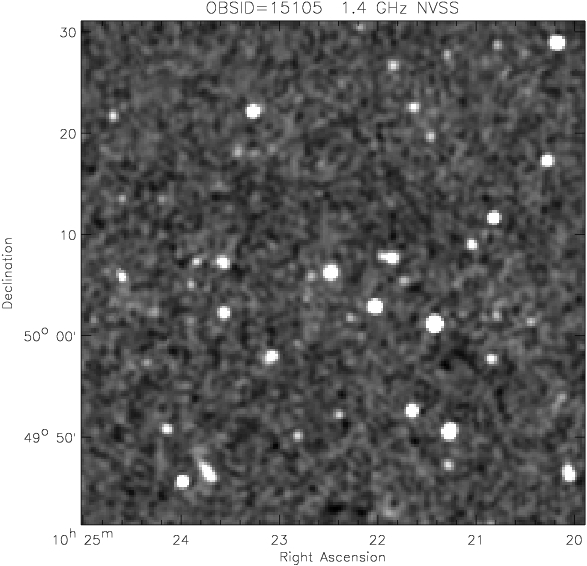 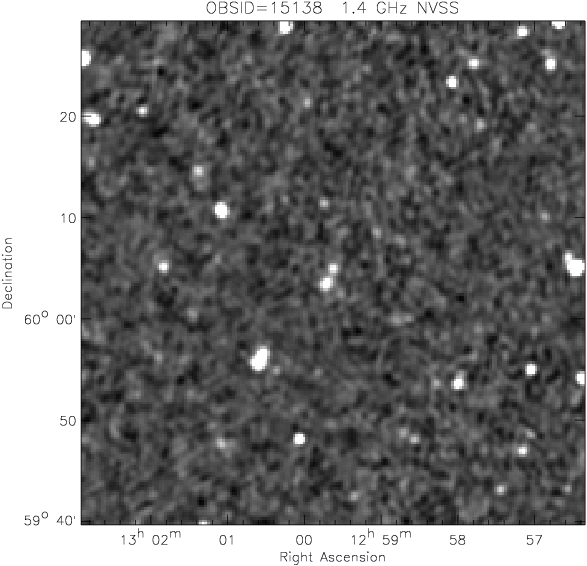 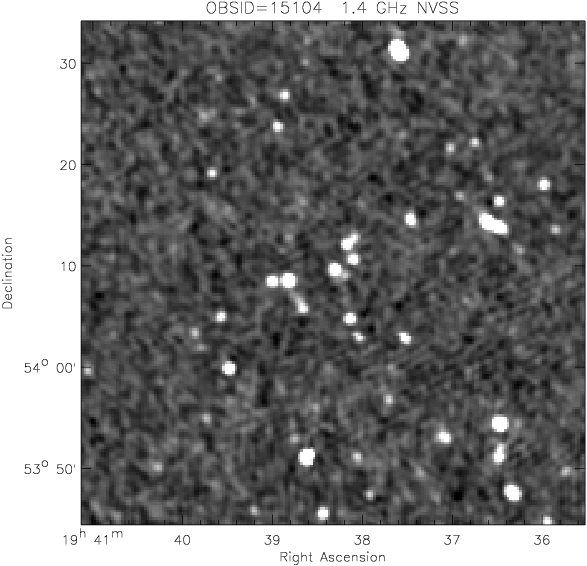 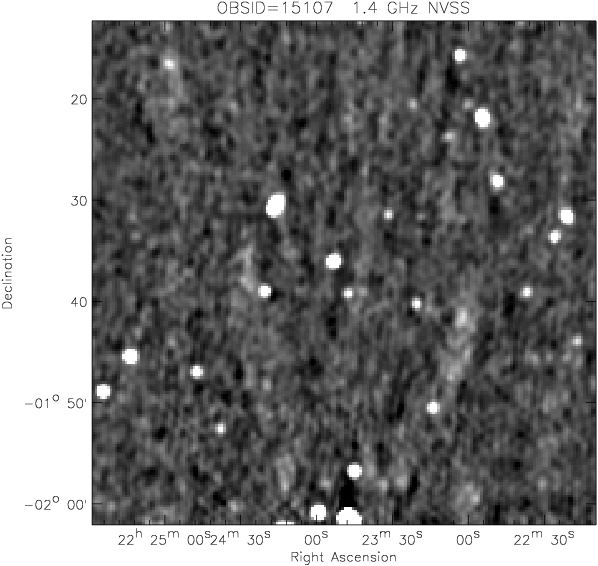 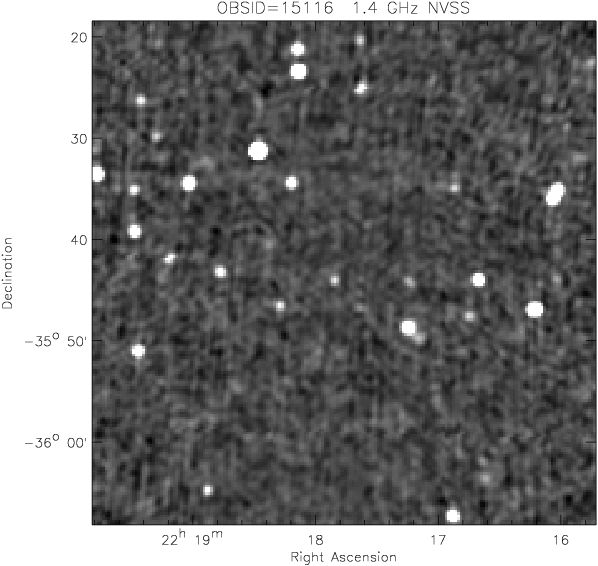 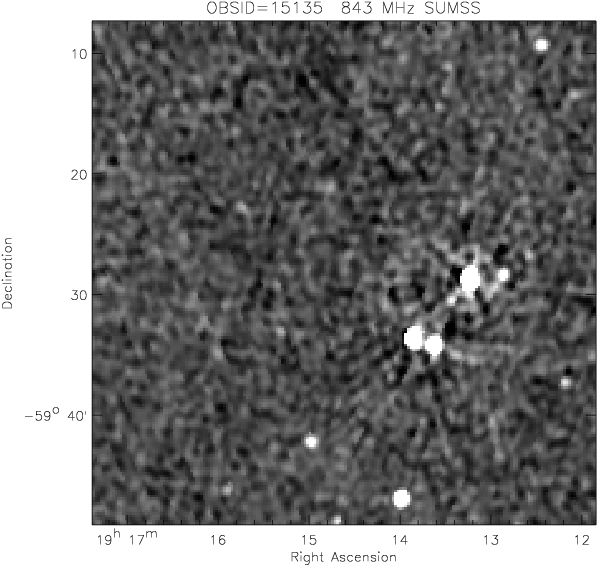 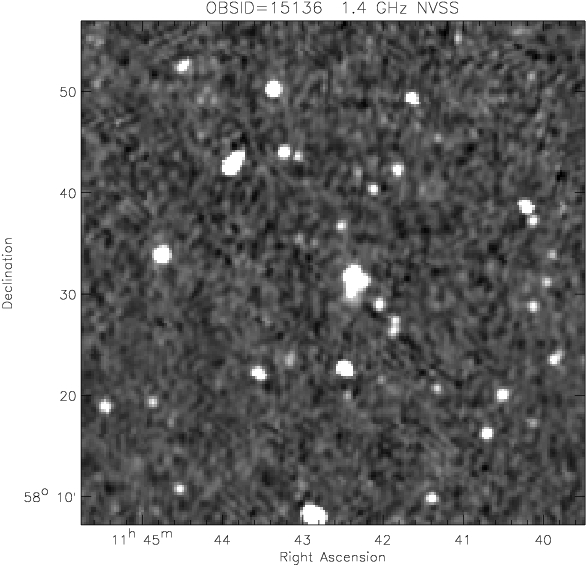 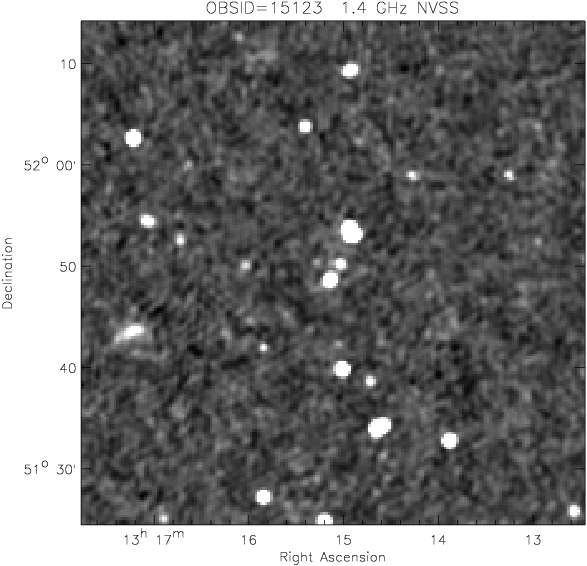 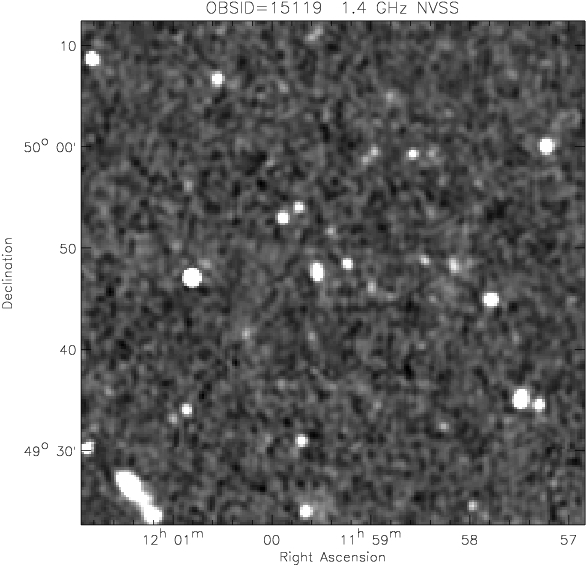 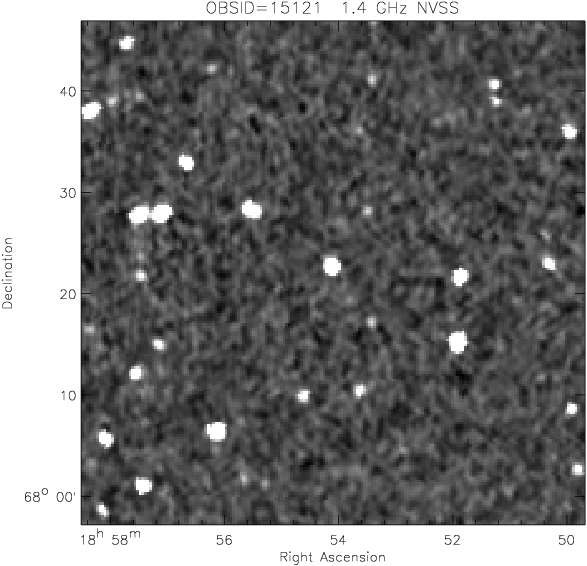 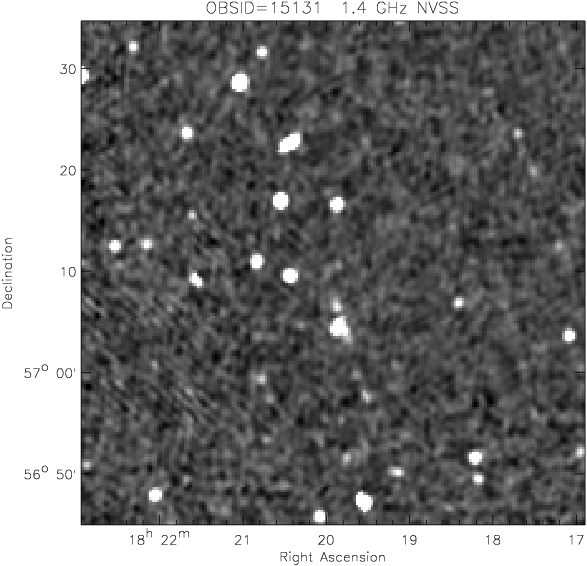 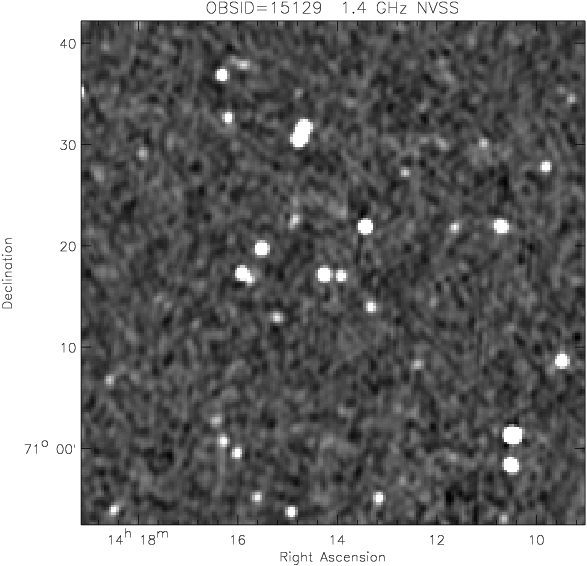 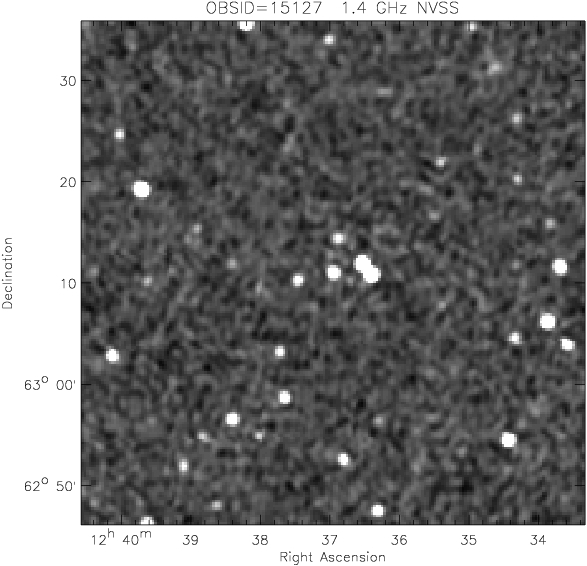 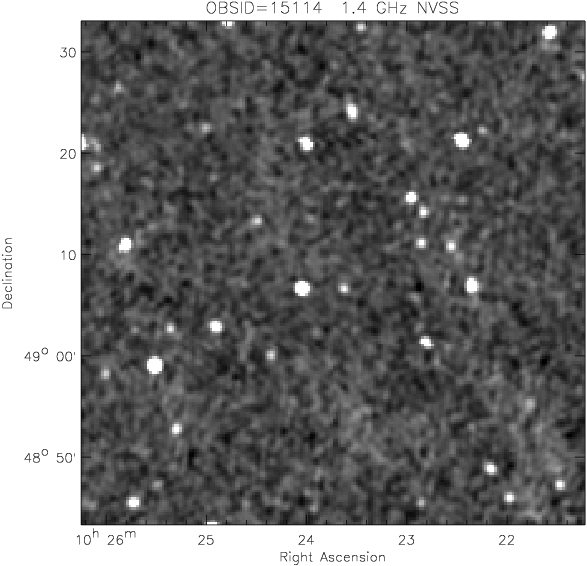 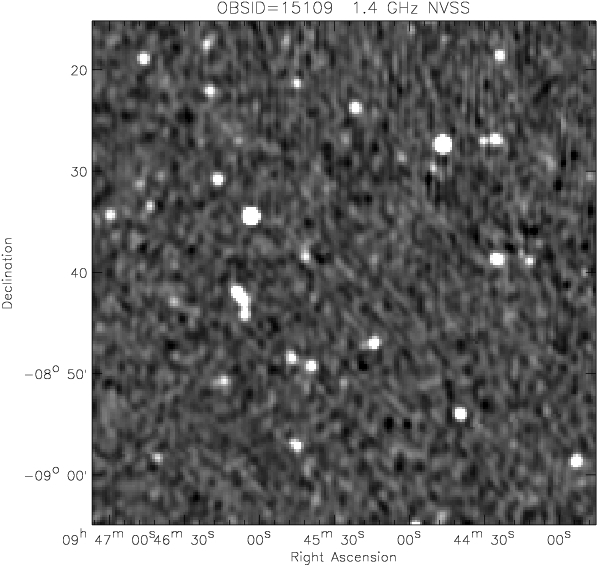 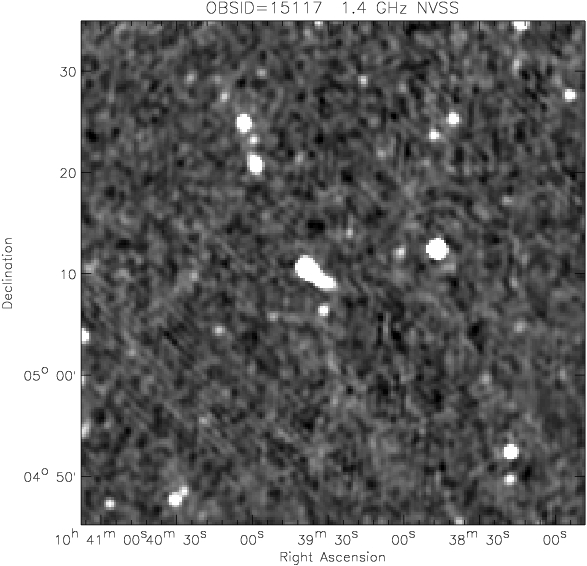 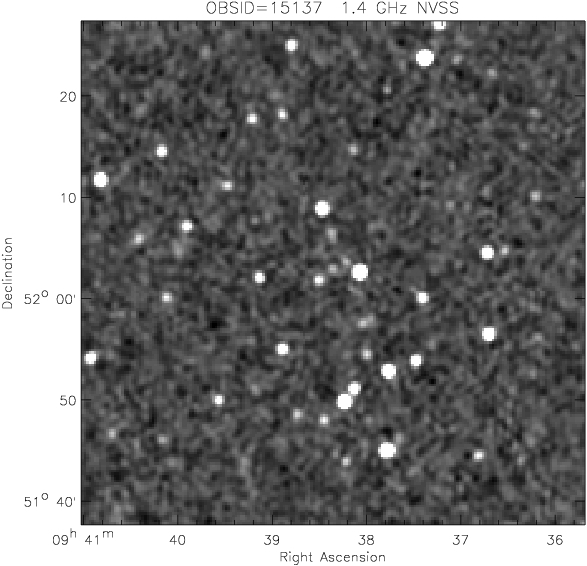 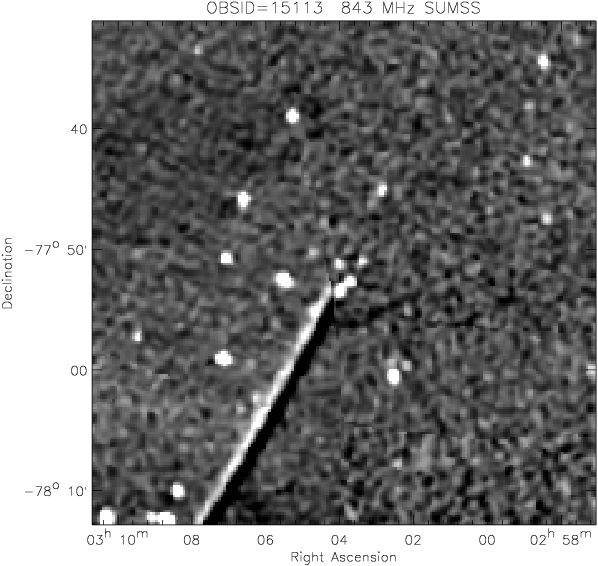 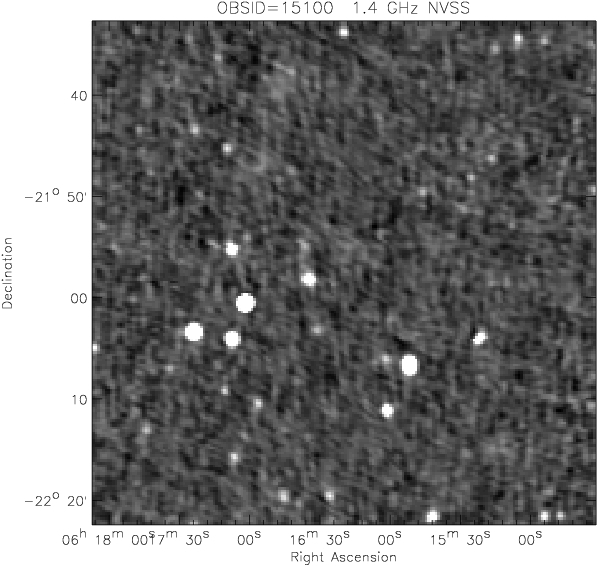 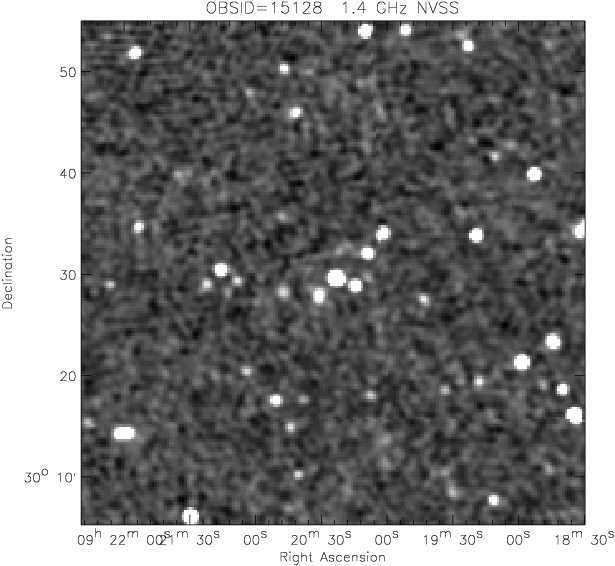 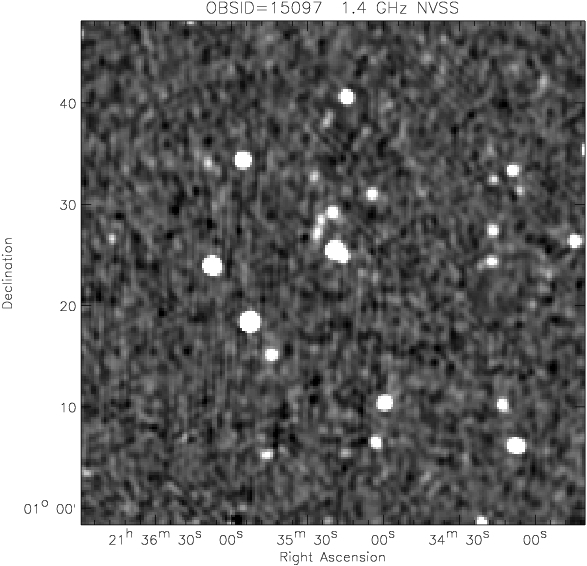 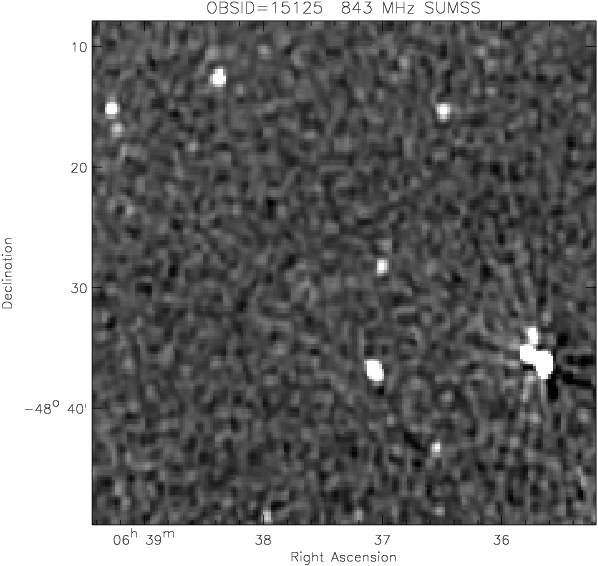 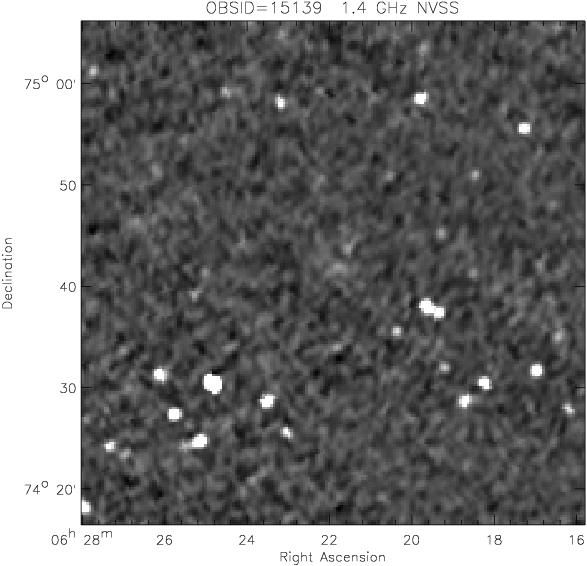 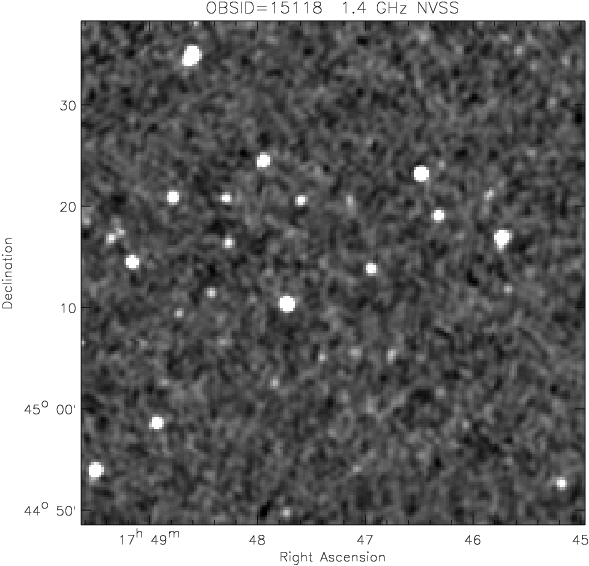 The Optical link downloads the optical band ESO-RED fits file of the cluster field. 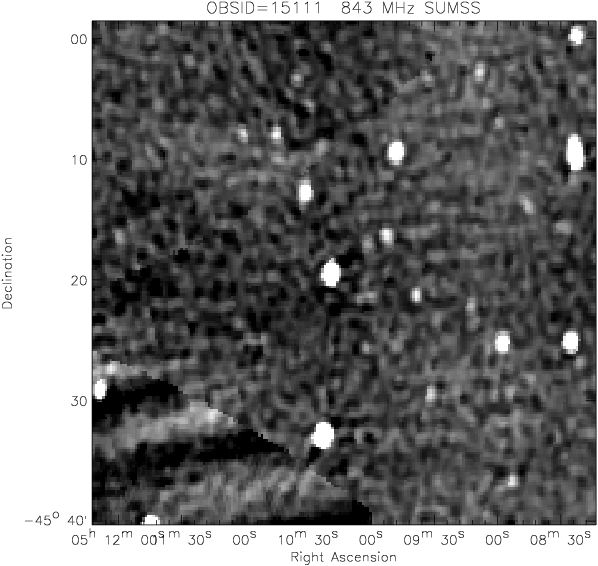 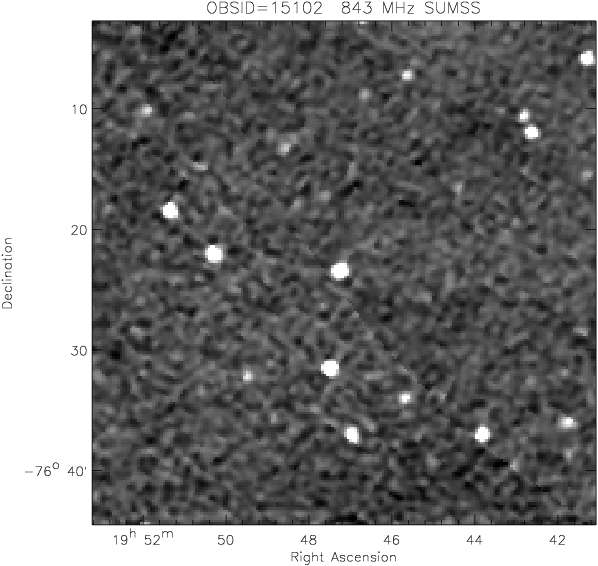 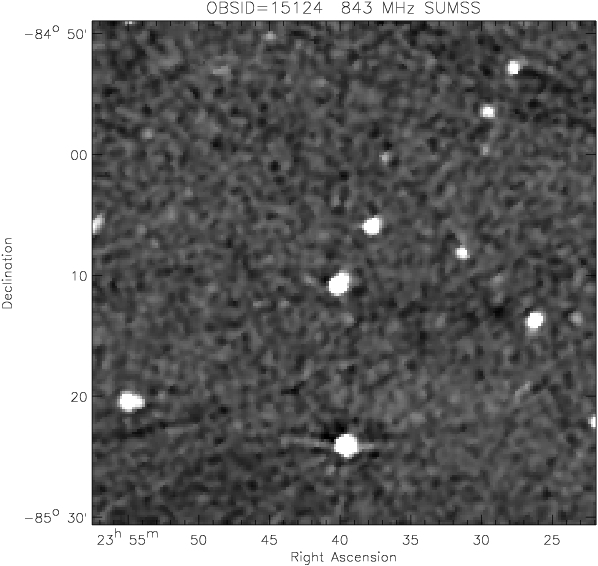 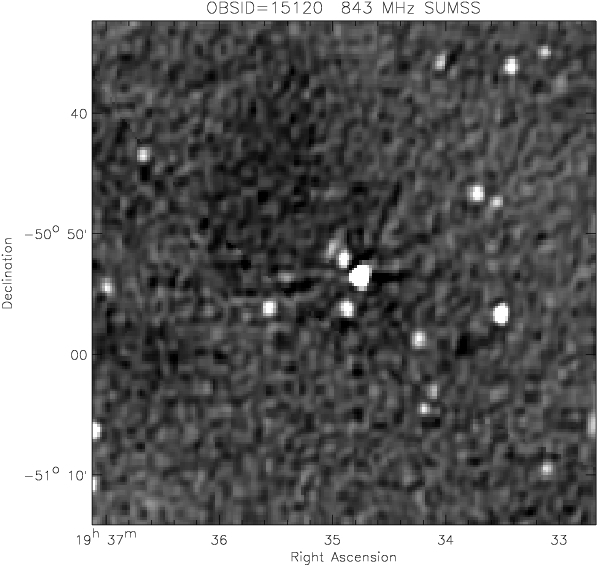 The Radio link displays either the 843 MHz SUMSS survey or the 1.4 GHz NVSS survey observation of the cluster field. 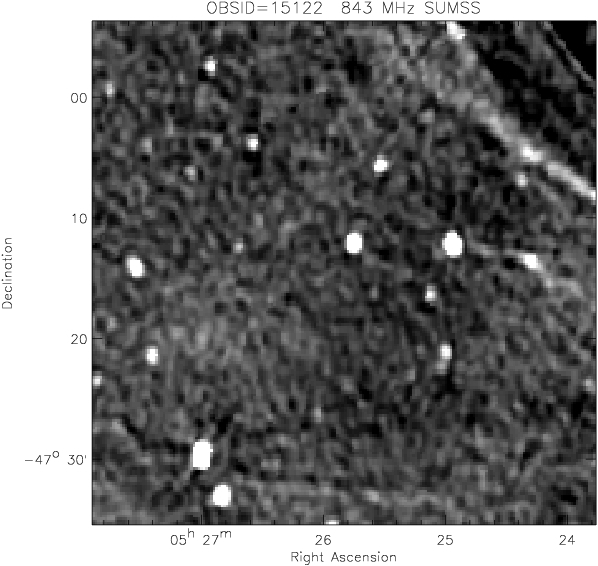 The images above -40 degr DEC are from the 1.4 GHz NVSS survey (Condon, J. J., Cotton, W. D., Greisen, E. W., Yin, Q. F., Perley, R. A., Taylor, G. B., & Broderick, J. J., 1998, AJ, 115, 1693). 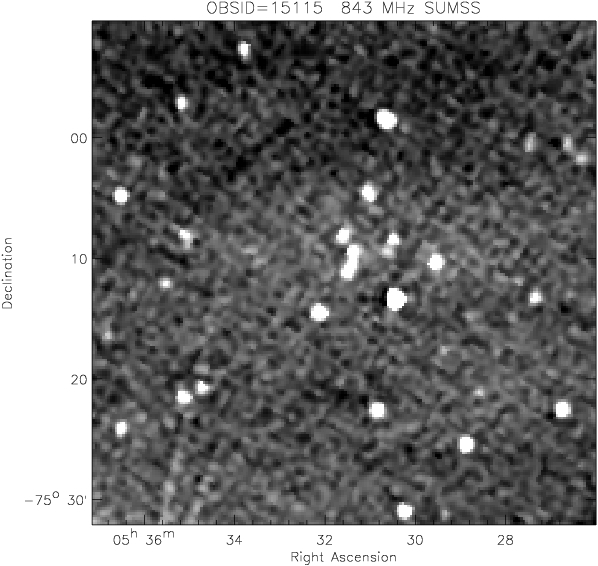 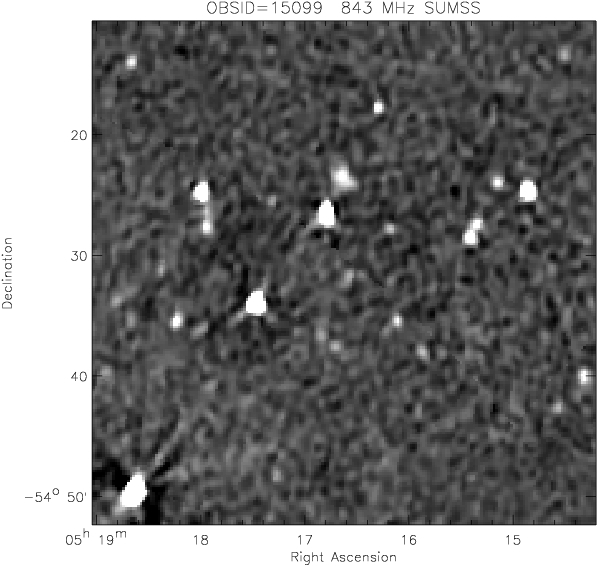 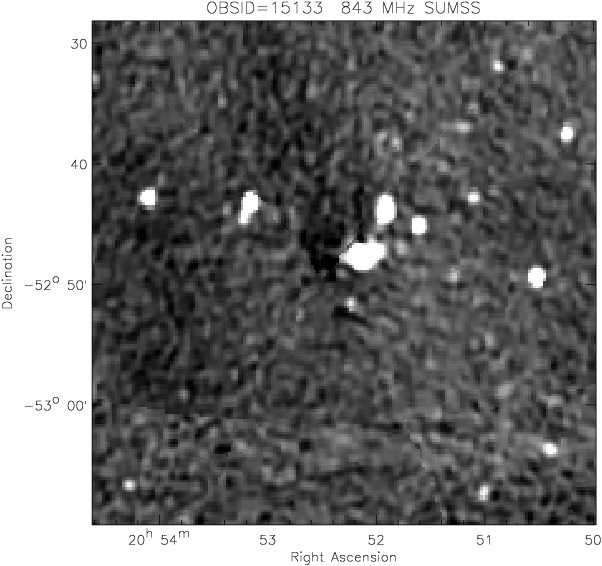 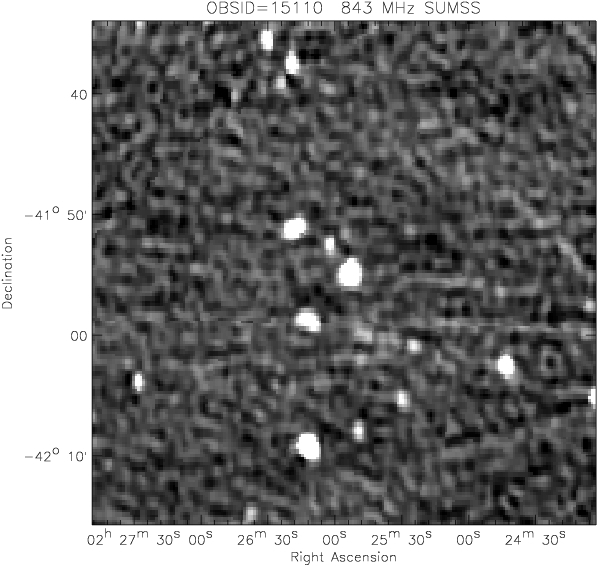 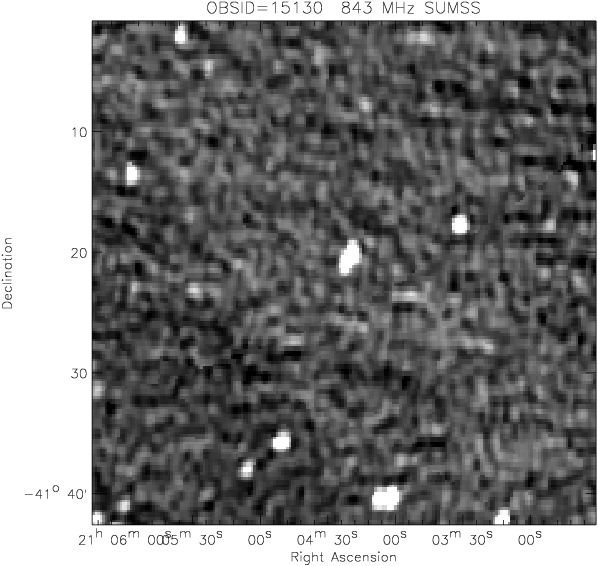 The images below -40 degr DEC are from the 843 MHz SUMSS survey (Bock, D., Large, M. I., & Sadler, E. M., 1999, AJ 117, 1578).